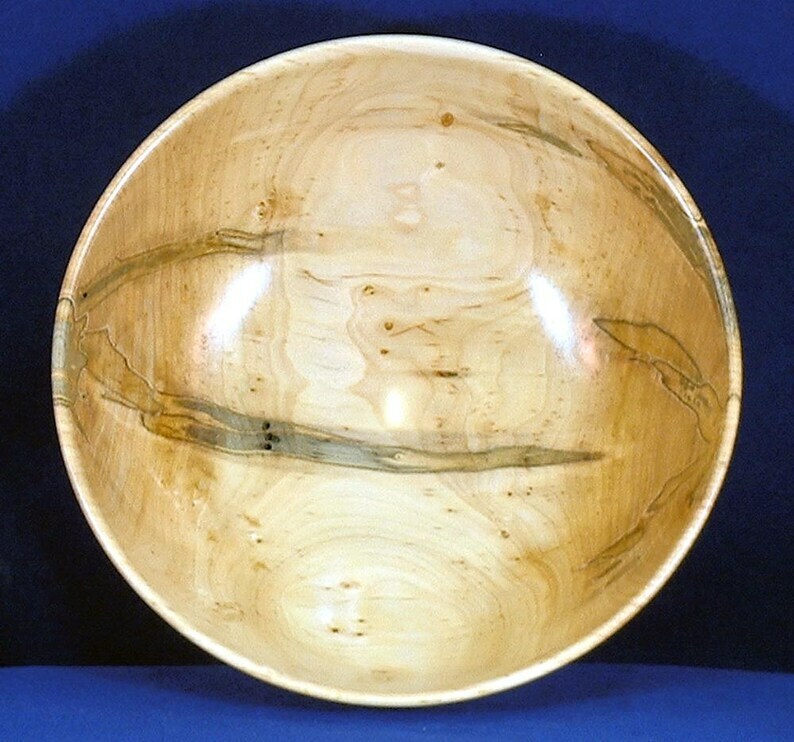 This is a hand turned wooden bowl made from Ambrosia Maple with its dark streaking and holes caused by a tiny beetle but add much to the character of the wood. 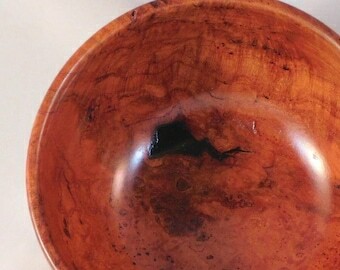 This bowl measures 7-3/8" in diameter, 3-1/4" tall and2-3/4" deep. It's a good size for a snack bowl or something similar. It was finished with several hand rubbed coats of Danish Oil finish and buffed out with a coat of carnauba wax. It is food safe but I don't recommend it for liquids and it is not microwave or dishwasher safe.